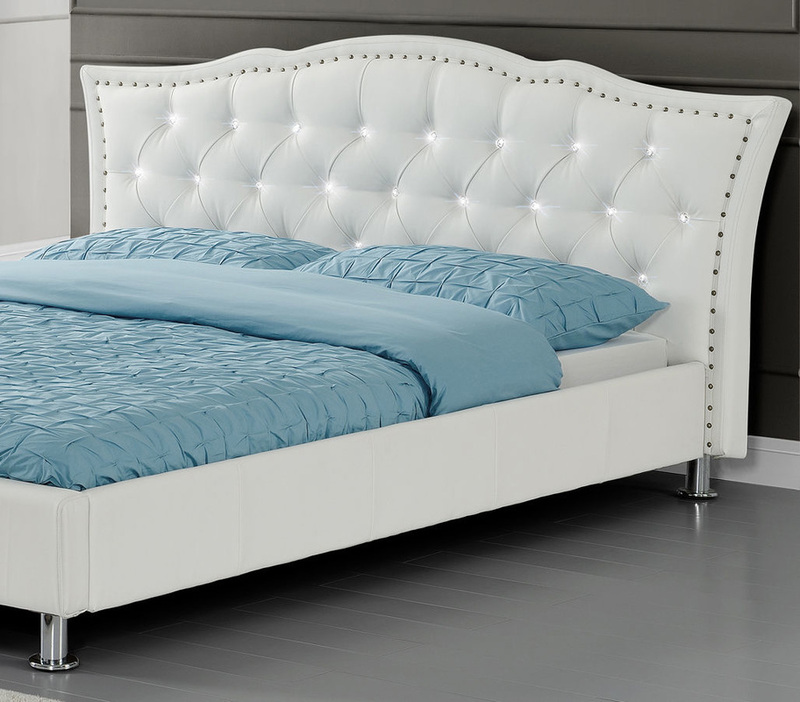 Stunning Italian Designer quality White Faux Leather Designer Bed Frame by exclusive brand 'Hi 5' that will create a glamorous and contemporary look in any bedroom. Stylish and sophisticated this stunning looking Bed features a uniquely designed large styled diamante studded headboard. 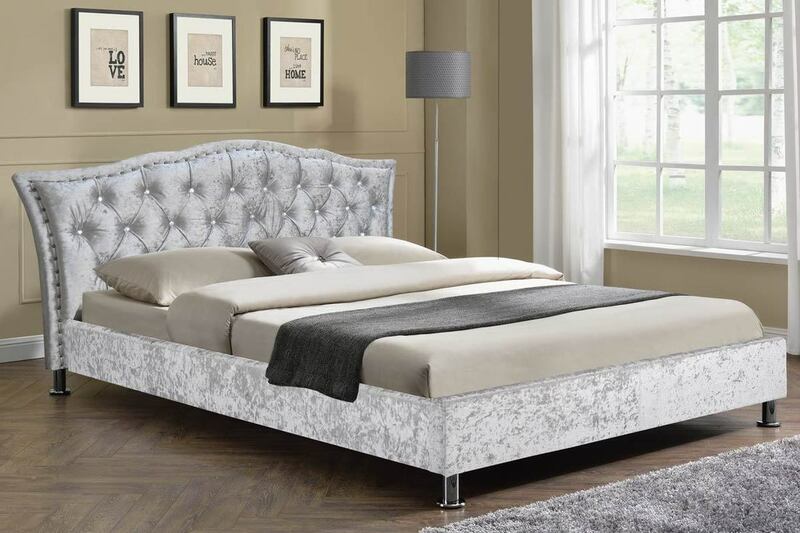 The Georgio Designer Bed Frame benefits from a sprung slatted base for ultimate comfort and also to maintain your mattress in the best possible condition. 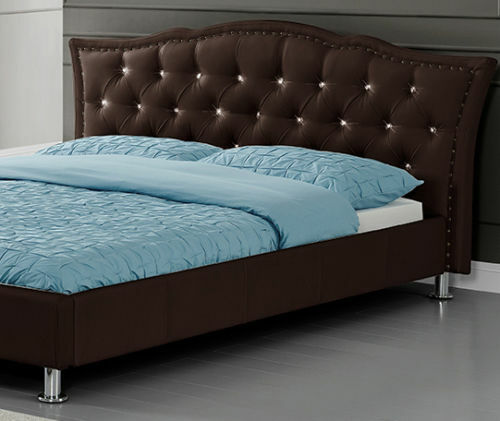 A great value for money bed providing elegant & classy looks to any bedroom & guaranteed to impress your friends & family alike! 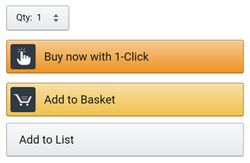 A wonderful Italian Designer Bed at a very cheap price.